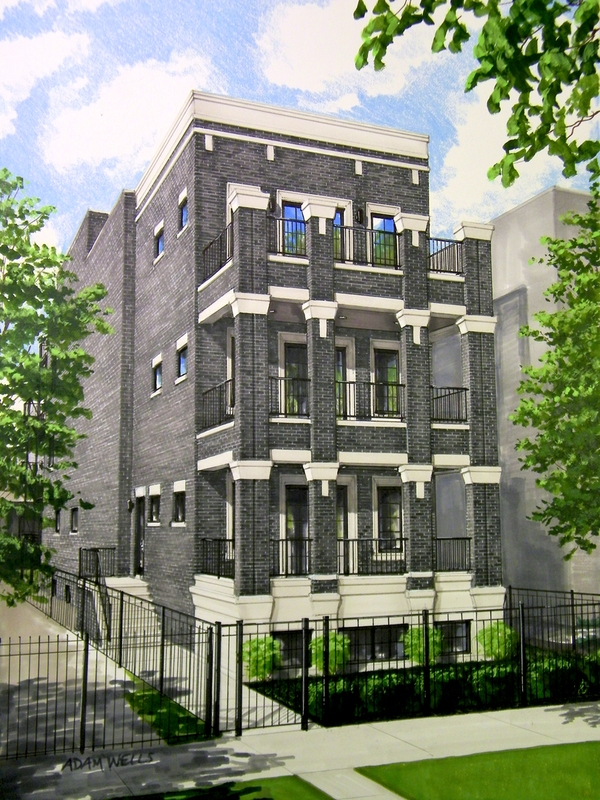 DRIMNAGH DEVELOPMENT PRESENTS EXTRA WIDE TOP FLOOR NEW CONSTRUCTION CONDO IN LINCOLN PARK. SIDE ENTRY BUILDING MAKES FOR A UNIQUE DEVELOPMENT. OSCAR MAYER SCHOOL. ALL BRICK AND LIMESTONE CONSTRUCTION WITH LARGE FRONT BALCONIES. WALKING DISTANCE TO THE TRAIN. 2 BED 2 BATH HOME WITH AN OPEN FLOOR PLAN. HIGH END APPLIANCES, QUARTZ COUNTERS, MARBLE BATHS. GAS FIREPLACE. TRANSITIONAL STYLE MILLWORK. BATHROOMS HAVE GROHE AND KOHLER, MARBLE TILE, OVERSIZED STEAM SHOWERS, HEATED FLOORS. PLENTY OF TIME TO CUSTOMIZE AND SELECT YOUR FINISHES TO CREATE YOUR OWN CUSTOM HOME. RARE OPPORTUNITY TO CUSTOMIZE YOUR HOME FROM TOP TO BOTTOM. FROM CABINET COLORS AND DOOR STYLES TO THE STAIN OF YOUR HARDWOOD FLOORS. THREE UNIT BUILDING, ONLY TWO LEFT. PICTURES ARE FROM A SIMILAR DEVELOPMENT. PLEASE REACH OUT FOR MORE INFO. MOVE IN READY IN SEPTEMBER! Property information last modified by seller on Wednesday, March 13, 2019, 11:56 AM CDT. Information Deemed Reliable But Not Guaranteed. Unauthorized duplication, use, or linkage is prohibited. The information on this web site is for personal, non-commercial use and may not be used for any purpose other than to identify prospective properties consumers may be interested in purchasing. Monthly Payment Calculator results are for illustrative purposes only, not a financing opportunity; calculations assume a 30-year fixed-rate mortgage and do not include closing and other costs. Property Tax on NEW properties is estimated at 1.5% of Listing Price for payment calculation purposes; actual value may be higher or lower.